These cute little toadstools & butterfly are part of the Hero Arts set that has the raccoon. I added washi tape for grass. Supplies: Stamps – Hero Arts, Papertrey Ink, paper – Neenah Classic Crest Solar White, Stampin’ Up! Bermuda Bay, Calypso Coral, inks – Copic E53, R02, R24, Y18, Papertrey Ink Fresh Snow, VersaFine Onyx Black, die – Spellbinders, washi tape – Simon Says Stamp (Kelly Purkey), embossing powder – Filigree Fine Art Powder clear, white, linen thread – Stampin’ Up! 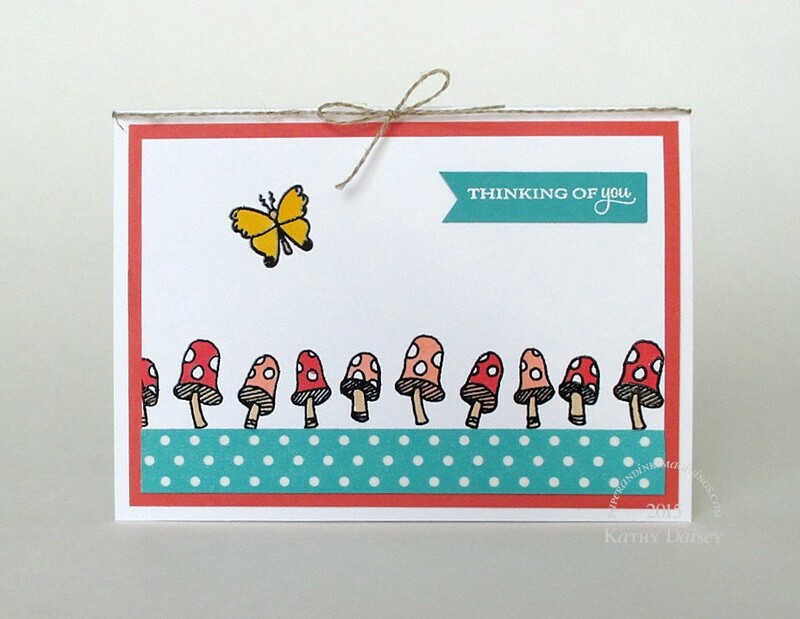 Categories: card, thinking of you | Tags: card, Copics, Hero Arts, Neenah, Papertrey Ink, Simon Says Stamp, Spellbinders, Stampin' Up! | Permalink.